It's hot. It's summer. It's.....officially party time! One of the popular birthday party themes for Littles in the summer is a fun in the sun themed celebration! Well, we found the perfect little something to top the event! 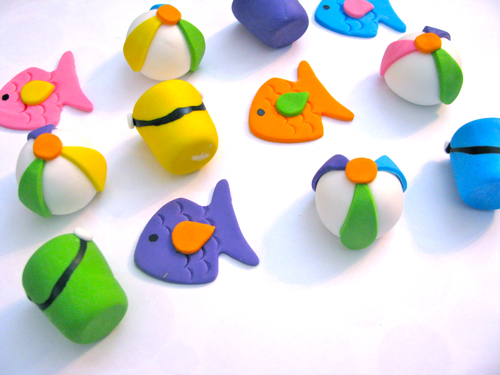 Edible Details has the perfect Edible Fondant Cupcake Toppers ($20) - the coordinating set of 12 toppers (4 fish, 4 beach balls & 4 buckets) in bright colors are the perfect treat for your cupcakes. 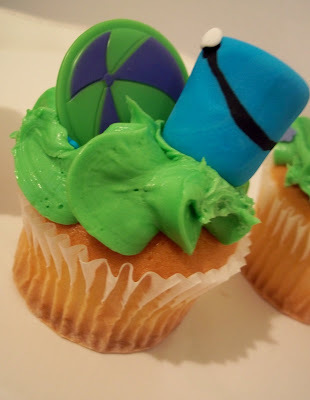 Head over to Edible Details now & get inspired for your summer party!